Time to party in Asia! You will hit the nightlife in Kuala Lumpur checking out dozens of bars, pubs and clubs where you can dance the nights away. A highlight will be sipping drinks at the amazing Rabbit Hole and Havanna Bar & Grill, 2 of Asia’s coolest bars. Next stop: Patong beach in Phuket, Thailand to one of the best party streets you’ll ever visit. Bangla Road boasts over 50 incredible watering holes with nonstop action, live music, street performances and so much more. Not to mention the ultimate water festival, Songkran Thai New Year) held every year in April. Only party legends need apply. Only interested in Songkran festival? Check out our Songkran tours. Extra nights in Kuala Lumpur or Phuket available on request. All prices are based on twin-share rooms. Single rooms available at extra cost. View www.xe.com for conversion rates to your currency. Kuala Lumpur is the hidden nightlife gem of Asia. 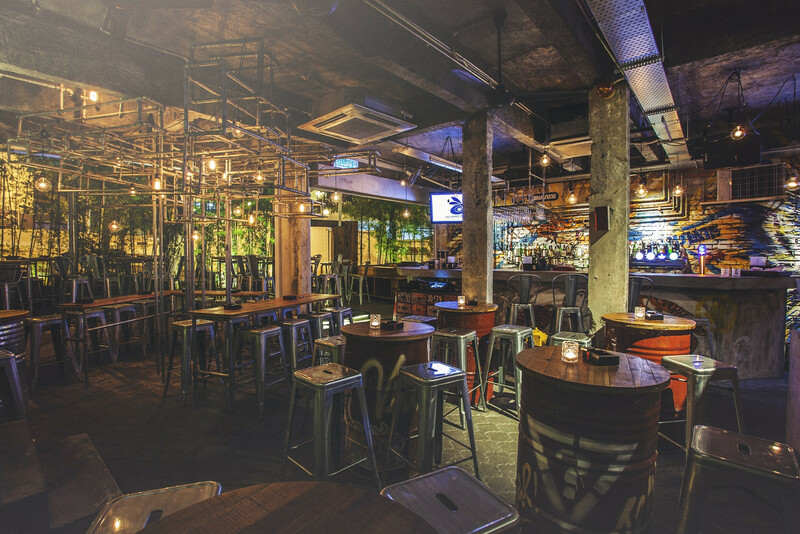 A party-goers haven with the ultimate stomping grounds all along the Changkat Bukit Bintang street where you will find serious music bars, clubs and dozens of uniquely-themed taverns to keep you hydrated. 2 must-see bars are the new Rabbit Hole, a wonderland of themed around the well-known fantasy narratives of Alice in Wonderland & Narnia Chronicles., and the Cuban-themed Havana Bar & Grill. Patong will have you partying not just at nights, but even most of the days. There is so much happening on Bangla Road but one thing is guaranteed – you will have the time of your life! It’s the biggest water fight on earth. April 12th -15th is Thai New Year (Songkran festival) which is celebrated with water battles and street partying that will have you out all day and night celebrating with the happiest people on the planet. Lock and load those water guns and see you in battle!